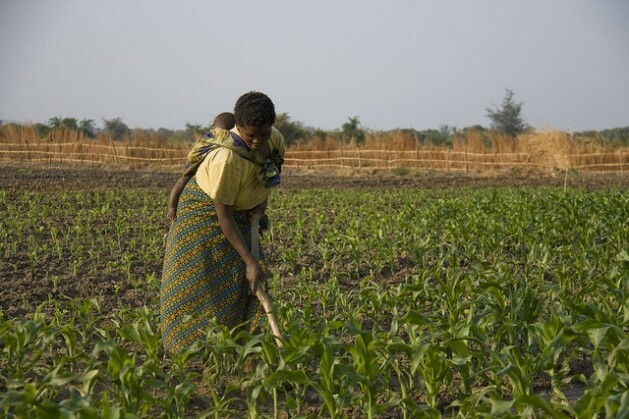 ROME, Sep 21 2012 (IPS) - As the world searches desperately for ways to boost food production by at least 70 percent by 2050 to feed an increasingly hungry planet, many are looking to Africa as the place where a large part of this potential can be realised, mainly for its huge portion of arable land. Arusha, Tanzania, will soon become the site of a major brainstorming session on this very topic, when it plays host to the African Green Revolution Forum (AGRF) from Sept. 26 to 28, which is aimed at developing African-led food security solutions. The President of IFAD, Dr. Kanayo F. Nwanze, will address these issues at the Arusha Forum in a panel focusing on how to make African national and regional markets work. The FAO food price index, which measures monthly price changes for a food basket of cereals, oilseeds, dairy products, meat and sugar, averaged 213 points in August, unchanged from July. Although still high, the FAO index currently stands 25 points below its peak of 238 points in February 2011 and 18 points below its August 2011 level. This is all so wonderful if they don’t let the GMO (genetically modified organisms) seeds into their country. Monsanto and other companies selling their ideas of prosperity to naive farmers is why our USA is in so much trouble now. These GMO’s are killing and contaminating the cows (and poisioning our milk), chickens, pigs, etc; contributing leaky bowels, allergies and other dis-eases to anyone/anything eating them. They are banned in Europe and Australia, hopefully Africia will also ban GMO’s.